Paul Froiland had an important decision to make for his family. He had worked for Nordstrom as a buyer and in the women’s shoe division for more than 25 years when the company decided to consolidate their buying options. He and his wife, Jennifer, had raised their family and called Hinsdale home for the past 18 years. They have three kids still in Hinsdale schools, lots of friends, and deep roots in the community. It was an amazing job, but there was a life in Hinsdale his family loved, too. “It was time to change gears and build a permanent future here in Chicago,” he says. So in 2017, Froiland launched DSR Realty Group. DSR stands for De Stijl Realty, and the launch coincided with the 100th anniversary of the De Stijl Dutch art movement. The English translation of De Stijl is “The Style,” making it a perfect name for his new career endeavor, where he could put his experience in management, servant leadership, negotiation, and design to work. DSR Realty is partnered with Keller Williams Experience. In early 2018, Keller Williams became the No. 1 real estate franchise (each office independently owned and operated) in the U.S. in closed transactions, sales volume, and agent count. Keller Williams was named the No. 1 happiest place to work by Forbes magazine for 2018 and also has the honor of being the No. 1 training organization in the world. A Los Angeles native, Froiland grew up in North Hollywood where he developed an intense passion for music, design, and the arts that he still thrives on today; he loves Mid-Century art, architecture, and furniture design. 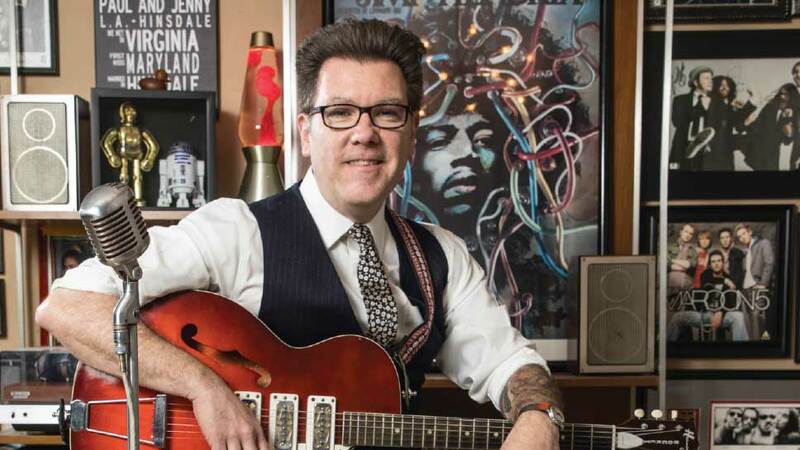 He enjoys visiting estate sales in Chicago’s older districts, rescuing vintage audio equipment, instruments, and other treasures from our past, restoring them, and giving them new life. He’s an advocate for the value that music, culture, the arts and entertainment can add to someone’s life and community as a whole. His tagline, “Dreams Open Doors,” is more than just a slogan; he plans to build a giveback component into his business to benefit charities supported by the arts in local communities. In his everyday work, Froiland is now helping clients find the right place to live their passion, be fulfilled, and flourish. “Anybody can pick a house, but I work passionately to help clients develop a vision for their perfect lifestyle and match that with a home and community,” he says. That’s one of the values a real estate professional can bring to the home buying experience today, especially in a market where homes are moving quickly, and buyers do a lot of their own homework before ever stepping foot in a house. And even if families don’t typically use an agent to start their home search, almost all transactions end with a realtor. They need support, advice, and guidance along the way. “When you’re ready to go, be ready to go,” he says, then count on DSR Realty to help get you to closing day smoothly and with style. To contact Paul Froiland or learn more about DSR Realty Group, visit dsrrealtygroup.com or call 630-699-9655.